Experts shared some tips on training and diet with first time runners at a training seminar in Durban. The marathon takes place on the 9th June and is an “up-run” from Durban to Pietermaritzburg. The nerves will start to show, with just 59 days to go to the big day. The Comrades, known as the ultimate human race, remains a true test of hard work and endurance. Experts say a proper diet, good running gear and some running strategy will help make this year’s up-run a breeze. They’ve cautioned runners not to attempt the race with an injury, a mistake made by many. They also advise runners to start the race slowly. “They need to go as slow as they dare to go. So many times people come to me and ask me for pacing advice. When I give it to them they always go, I actually can’t run that slow. When you do your really long runs, any training marathons, you should actually practice running that slow so that is does not feel that uncomfortable because the first 36km especially of the up run,” says Comrades Marathon coach, Lindsey Parry. Dieting experts say the intake of carbohydrates, protein and liquids before and after training sessions should be increased. “You need to make sure that you eat something before, during and after those races. A nice lot of carbs with protein and enough liquid in those meals. Make sure that during your runs, you take carbohydrate sources. The rest of the day, pretty much solid eating, healthy eating with enough fruit and vegetables,” says dietitian, Nicki de villiers. The experts reminded the novices to just enjoy the race, likely to be one of the most memorable experiences of their lives. 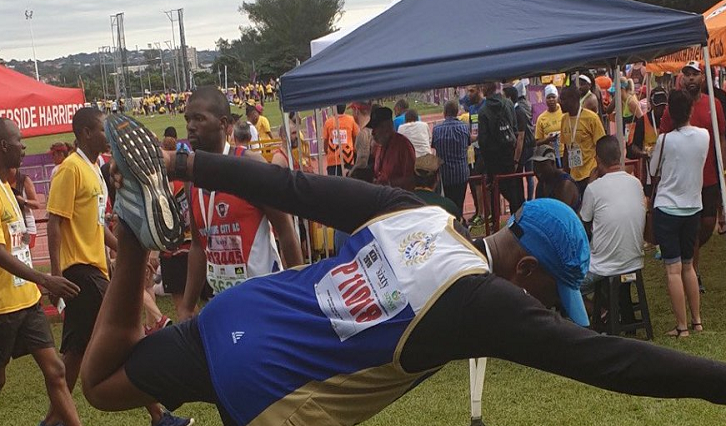 The post Comrades Marathon: Experts share tips with novice runners appeared first on SABC News – Breaking news, special reports, world, business, sport coverage of all South African current events. Africa's news leader..